Joyetech eCom-C Atomizer Tube - Type B, can works with Joyetech eCom-C Atomizer of Type A/B/C. New design with perfect fashion. All-glass e-juice window make you be aware of the residual amount of the e-juice. 7 colors available. is CE mark on the packing box. The parcel came very quickly! Week and here it is!!! I really liked the quality. In the process of use we will add. At the moment satisfied in the highest degree. Joyetech eCom-C Metal Tank Tube - Type C made of stainless steel and pyrex glass. Cylinder shaped available in different colors. 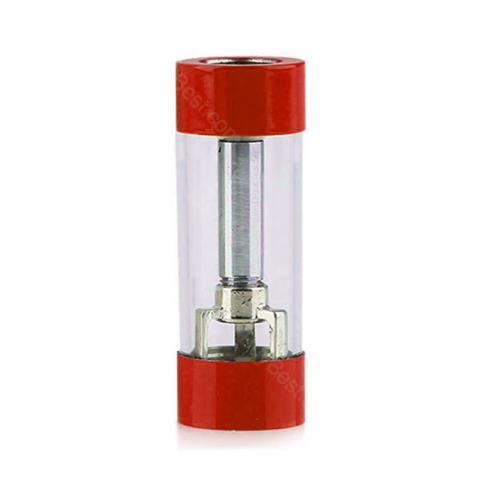 It is available in different coilus and the tank can be easily replaced.